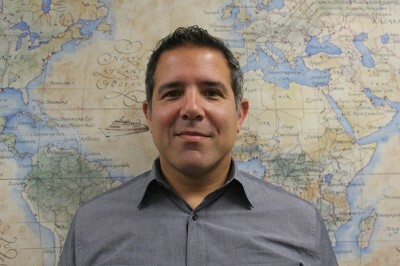 Lawrence R. Antonucci, Jr. is a Licensed Customs Broker and 25 year logistics industry veteran. Over the course of his career, he has held several Executive Level positions at Barthco International with responsibilities that covered IT, Sales, Marketing, and Operations. Larry now has the distinct pleasure of being partners with his brother John Antonucci and cousin John Ercolani in J & K Fresh East, div of 721 Logistics LLC. As President, Larry provides the strategic, tactical, technological and administrative direction the company requires in order to compete in an increasingly competitive environment. He also works closely with Lynnette Keffer and her executive team to ensure the J & K Fresh brand is being properly represented on the East Coast. Larry is a graduate of Temple University with a degree in Information Systems and Marketing. He lives Riverton, NJ with his wife, Lisa. He has a daughter and son, Keri and Alexis. He enjoys traveling with his family and has traveled to Asia, Europe, and the Caribbean on both professional and personal business. Larry loves his Philly sports teams, playing golf and deep-sea fishing. He has yet to catch a world record “anything” but is constantly trying.